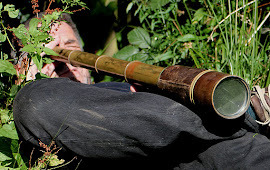 I recently drafted the text for Snipe for a forthcoming Birds of Hertfordshire. A tale of woe. Sage (1959) stated that ‘There is little doubt that the Snipe is a widespread breeding bird in suitable localities over the county’. With the last proven breeding in the county at Rye Meads in 1998, the Snipe is now extinct locally as a breeding bird. During the 1988-92 Atlas, Snipe bred at Rye Meads, King’s Meads, Sawbridgeworth Marsh and Standon Lordship. I knew all of these sites well when Snipe were breeding, so today I went out to take a look at what had changed. Rye Meads looks great at the moment; nicely flooded and with lots of Snipe. This used to be a great site for breeding Snipe but became unmanaged during the 1980s with the result that they ceased breeding. In the early 1990s, Rye Meads was acquired as a nature reserve by the Wildlife Trust. With management back in place, Snipe returned and up to 3 pairs bred during that decade but ceased to breed again by the early 00s. Sawbridgeworth Marsh today also looked nice and wet, but the over-riding impression since Snipe last bred was one of changing vegetation. Some excellent work is being put in to maintain a small area of fen meadow but overall there is a spread of coarse vegetation and scrub. During my years at the Wildlife Trust, King’s Meads was one of the sites I put a lot of effort into acquiring as a nature reserve in the early 90s. I remember complaining publicly that a management change by Thames Water had resulted in the loss of breeding Snipe and Garganey. They were on the phone pronto, balling me out, but the fact remains that it happened. Today, at King’s Mead there is serious deterioration of the meadow sward; where once there was tussocky grass, Adder’s-tongue Fern and Snipe, today there is a sea of sedge and rush. Finally, I looked at Standon Lordship, the one site in private ownership rather than a nature reserve. The old Snipe meadow was partly under willow plantation, partly grazed to billiard table. The reasons for the loss of Snipe at each of these sites is, in my view, as clear as the beak on its head: inappropriate management of either water or sward. We have come to expect losses on private land through agricultural intensification but the sad truth is that, on the other side, we also have losses at nature reserves due to insufficient management. So, back to the Snipe text and tell it how it is. Anything we can do about the situation? Perhaps, we shall see.